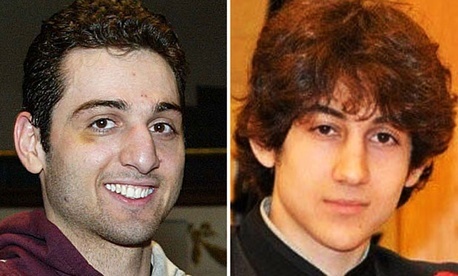 In April 2002, Dzhokhar Tsarnaev apparently arrived in the United States on a tourist visa with his sons Tamerlan, 15, and Dzhokhar, 8 — now the suspects in the ongoing Boston Marathon bombing manhunt. Over time, the family gained asylum. Tamerlan became a citizen. We spoke with David Leopold of Leopold and Associates, an immigration attorney who's been practicing law in Cleveland since the early 1990s, who walked us through how that process worked — and why it would likely have been impossible to predict what happened to Tamerlan next. The simplest part of the family's trip would be acquiring the tourist visa. The State Department, which manages the issuing process, explains how to get a visa on its website. Fill out a form, have an interview, get your visa. Where the Tsarnaevs were applying from, like many of the details of the narrative at this point, is not entirely clear. In 2001, they apparently moved to Kyrgyzstan, which may have been where the family lived when it applied. Read the rest of the story on The Atlantic Wire.